Here's one local event you can't afford to miss! says Anastasia Haydulina of Ashburnham Place. as well as baked goods and cakes! Let us know if you'd like to sell or just show up on the day! 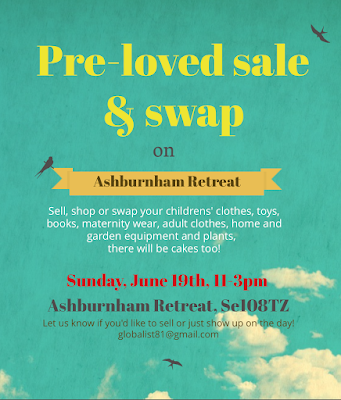 This is a sale organised by neighbours in Ashburnham Place, independent of any organisation, not an ATA event.